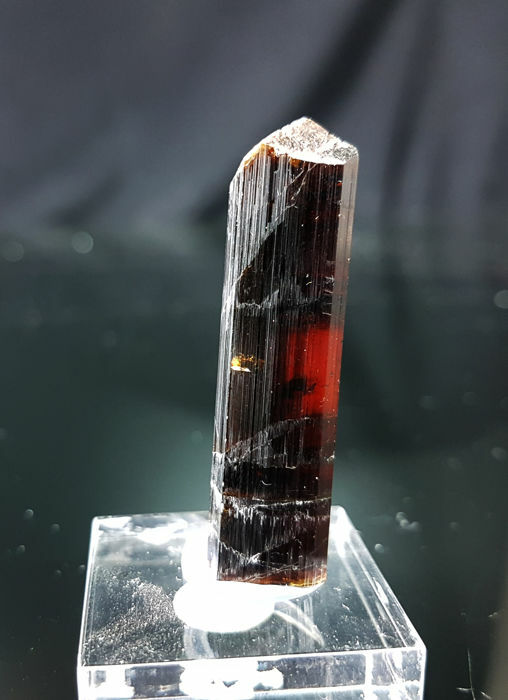 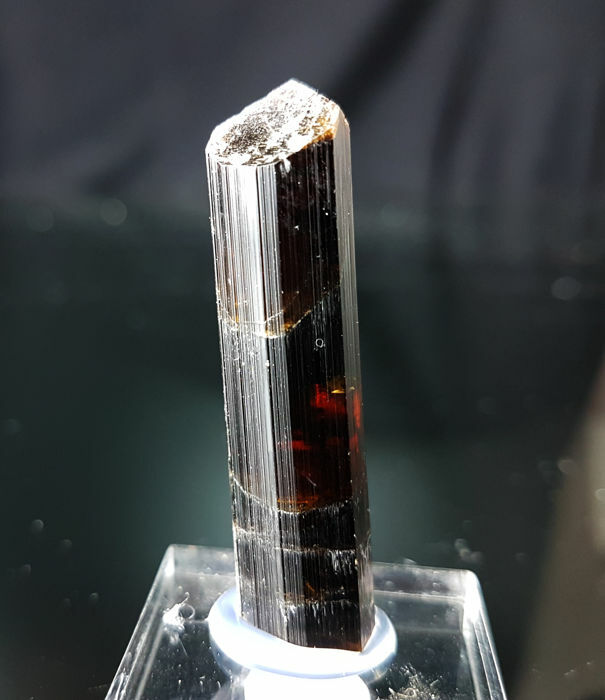 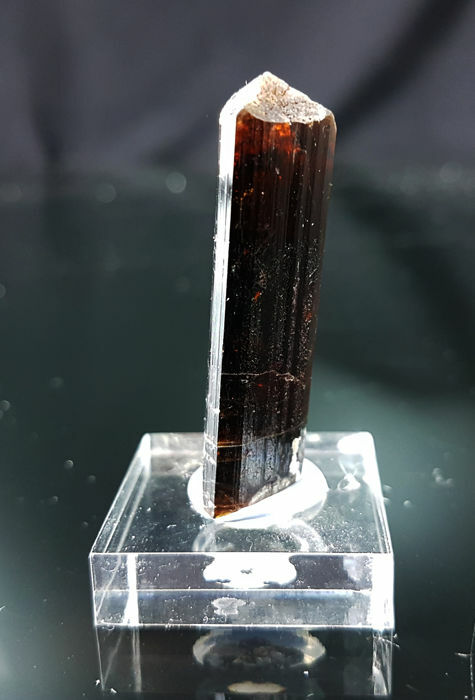 Perfect dravite crystal (brown variety of tourmaline) with splendid red reflections. 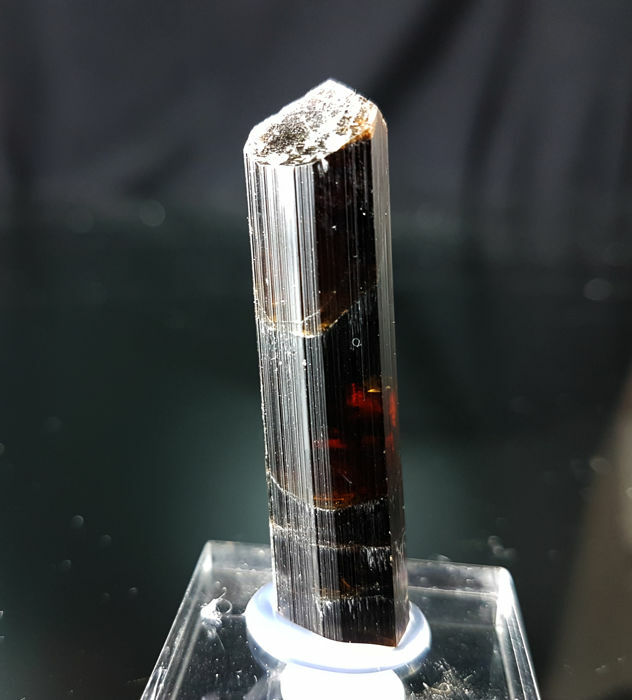 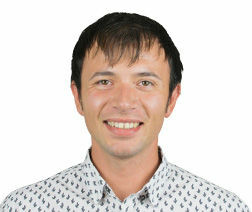 Truly a high quality specimen. 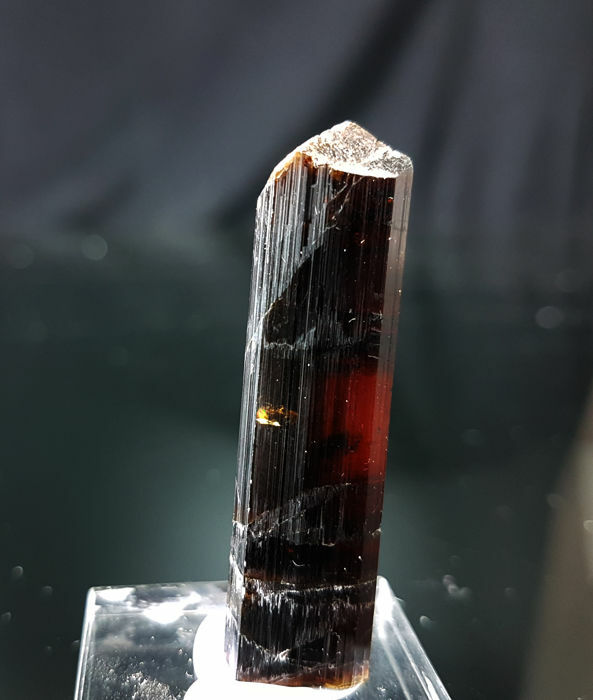 It is a new find in Tanzania.